Styhexxenhammer breaks down the recent bombshell announcement from North Korea. 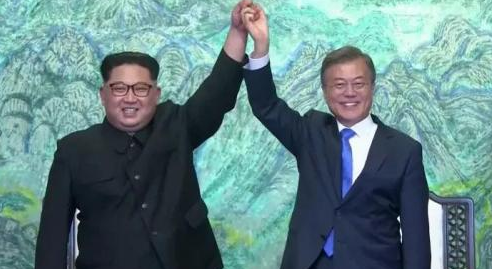 They have agreed to peace! President Trump will go down in history as the man who finally made it happen. All three of the above statements would of been unimaginable just a few short months ago, so quickly are the times changing, so dramatically, and fortunately, at least in regards to this situation, are moving the right direction. Within a matter of months, Kim Jong Un, the leader of North Korea has completely changed his stance and ceased his saber rattling ways, after realizing that no longer would the method of his fore-bearers work. Having reached "nuclear" status, the North Koreans faced immense international pressure, and possible invasion via the United States and its closest allies. No longer could the North Koreans be allowed to threaten the free world and intense, real pressure, the likes of which they have never seen before was applied to them. This has undoubtedly resulted in Kim Jong Un doing some self reflection and deep thinking. This man was raised partially in the Western world, where he received his education, and thus, it is likely that he truly never actually hated the West, at least not as deeply as his father and grandfather did. I have no doubt in my mind that he is breathing a deep sigh of relief this morning, and have faith that North Korea will now begin the very slow process of transitioning itself into the larger international community, one baby step at a time. Hilariously, after months of hyperbolic predictions by the MSM that President Trumps hard line approach towards North Korea would result in nuclear Armageddon, he is now being largely praised for his work and efforts. Proving that sometimes tough love is the best medicine. In fact, bookie's around the world have dramatically increased President Trumps odds of being the winner of the next Nobel Peace prize, putting him as the clear front runner. Excuses can be made, and rationalizations can be attempted, but the facts are the facts, this was a major victory for President Trump and the Western world at large, no matter which side of the spectrum you stand on. Many political pundits are heralding this as a new "Golden Age" for the world and state that the next target for Western leaders will be Iran, who we can expect will be the next focus of intense political pressure. But, that is hopefully a story for another day, and one that I don't expect to unfold overnight, despite the shocking about face, surprise announcement we have received in regards to North Korea unilaterally agreeing to peace with the world. The clock to midnight has taken a few ticks backwards today, and for that we should all be grateful and happy. The World has become a little more stable and a little more sane, a statement that we sadly can rarely make. Tax day has passed and the crypto market is on the rise again. Bank of America said the last time we saw this happening it was 2007. The Fed is at it again, back in 2008 they explained to the American people that they were not forecasting a recession, we had a recession, fast forward to today, they are saying the same thing. Turkey wants its gold back, they are saying the dollar is doomed and they want to trade outside of the dollar. The DNC is suing Russia, Trump and Wikileaks for the 2016 election. This will allow for discovery, Trump is already calling for the DNC servers, wait for it the Trump card will be played. Uranium one scandal has been confirmed, the investigation is ongoing. McCabe says they can't touch him. North Korea agrees no more missile test, nuclear tests and the troops can stay in South Korea. Q mentions Pelosi in an intel drop, she sold info to NK and made millions. US cuts funding to Syria, this will include the White Helmets. Russia will sell the S-300 missile system to Syria. Iran is next the same messages as NK are being broadcasted to get the world into a war. OPCW is being delayed on purpose in Syria. US says Russia wiped away all evidence in Syria, fake news. Q warns to archive everything, internet shutdown. Well, it came at a risk, it came at a gamble, but finally, the Russian Conspiracy Theory, that has been rammed down the throats of everyone around the globe since Donald Trump was elected as the 45th President of the United States has finally been laid to rest. With a resounding boom as the missiles landed in Syria, the hopes and dreams of the MSM proving that President Trump is simply a Russian puppet were shattered in one swift tactical strike. These strikes came at a great risk, as they hit key Syrian assets, assets that President Putin and his Russian forces vowed to protect. Whether or not these claims are true, is highly debated and highly suspect, but regardless of the truth, the chips have fallen and we are now in this precarious position, as the West once again plunges itself ham fisted back into the cold war era. Russian leaders have vowed that they will take action and vowed that their will be consequences for these acts against an ally they have sworn to protect, yet to this date, nothing has appeared to of occurred. Russia may or may not act, but it is rather unlikely at least in the short term, as the full combined might of the West is still a force that no one nation can contend with, as it is utterly overwhelming. Russia knows this and they are not stupid, but this is not to say that things cannot, nor will not change in the future. Still, this has come at a cost, as Russia has once again been forced into further isolation, as its Western peers condemn their actions and threaten them with even more trade sanctions. Pushed to the point of desperation, who knows what actions they will take in the coming years. 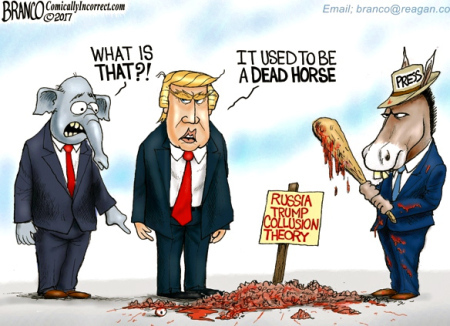 Meanwhile, the chatter of Russian collusion, via the corrupt and dying MSM has virtually died, as even those suffering from an extreme case of brainwashing are finding it hard to comprehend how a puppet can so easily slap its master across the face and get away with it, without consequences. If President Trump was truly a puppet of Vladimir Putin, or at least once was, then the evidence of this would have been promptly released by parties in the know, destroying Trump in the process. The reason why it hasn't, is simply because it doesn't exist. Hilariously, it is the MSM who cry out about fake news and conspiracy theories aplenty. While at the same time, they are the main pushers of half truths, fake news and their own concocted conspiracy theories. It is sad to see how far the "guardians of the truth" have fallen and how decadent the MSM has become. They are so greedy and corrupt, that they have pushed us towards this path, a path that places the West on the precipice of war with a global, nuclear power. The final nail in the Russian collusion coffin has been put in place, but at what cost and at what price? Only time will tell. This week we talk about the geopolitical tensions rising in Syria. Then we transition to further negative news for the tech behemoths, Facebook & Google: The new NSA. China’s newest weapon: communication jamming in the Spratly Islands. Finally we conclude with Mueller requesting 35 “Blank” Subpoenas!? JPMorgan was busted over bitcoin fraud, raising interest on bitcoin purchases.RBC warns credit is starting to breakdown in Canada. Banks are exposed to the auto subprime market, it looks like the subprime securities crisis of 2008. Mortgage refis tumble, people are being pushed out the market by rising interest rate hikes. The trends are reversing this is the beginning of the end. The IMF reports that global trade is breaking down because of Trumps policies, but trade has been breaking down way before this. The system is breaking apart and more and more indicators show this. Geopolitical pressures like Syria & trade tariffs push metals higher. US stocks are mixed this last week as we continue in this sideways channel after a 12% correction since the start of the year. If that correction pushes much lower be prepared for commodities to see further strength. We will cover the price movements this last week of gold, silver, platinum, palladium, the us dollar index, the DOW, and more. The DOJ is handing over the memo that kicked off the Russian collusion hoax. A photo of Ryan and Moufaz has surfaced, is this reason he is leaving government. The White House says that everyone has the right to speak freely on the social media platforms, this is the push for the Internet Bill Of Rights. OPCW confirms the nerve agent used was Novichuk but cannot confirm where it came from. BBC reporter tweet, tired of these staged event, then deletes the tweet. OPCW is on its way to Syria. Russia/US communication is open. Syrian army arrest British soldiers in Ghouta. Back in 2013 the UN found that Assad didn't use chemical weapons, the rebels did. Trump says he never said he was going to attack. Mattis said there is no evidence that Assad did the attack. Jason asks John why the US Dollar hasn't collapsed despite tens of trillions in central bank liquidity making the money bubble a lot larger since the 2008 financial crisis? Roaring Back, Cryptos Burst Onto the Scene, But for How Long? Cryptos, are back on track! Or are they? As predicted towards the end of last year, and at the start of 2018, Cryptos have trended lower, much lower, throughout the first few months of 2018. From a contrarian investor's perspective, this came as no surprise, as the masses began to rush into the streets and those who scarcely could say the word Cryptocurrency began to dive in with both feet. This is always a red hot warning sign, especially when compounded with the fact that the mass majority of those joining the party in the late hours, we're stating that "it can never go down", "Lambo's for all! ", and other statements that are made near a bubble top. Yet, as also predicted, Crypto's are now beginning to move higher, and in a significant way. This is largely due to the fact that pressure is easing as the tax season within the United States comes to a close and those who sold for accounting purposes are now taking renewed positions. Bitcoin, leading the charge is heading towards its best week in four months, up over a whopping 25% this week alone! Still, the fear of the tax man cannot be overstated, as there are countless out there still, that have skirted the law and avoided paying their taxes, a fact that was pointed out in a previous article and one that the IRS has taken a keen interest in, showcased by their recent crackdown on Coinbase users. Perhaps the recent lows have formed a new support level and we are destined to move higher from this point forward, as seen from the recent enthusiasm returning to the Crypto space, or perhaps not, it is far too early to tell. Regardless of what happens in the short term, I believe that Cryptos will be stuck in a sideways trading pattern, at least for the next year to two years, eventually returning to and testing their old highs. What is however starting to solidify is the second part of my prediction that I made during the latter days of 2017. This is that funds diverted away from the precious metals space, are going to begin to find their way back into the precious metals markets throughout 2018, as those who made large profits from Cryptos are going to begin to look for the next best opportunity. 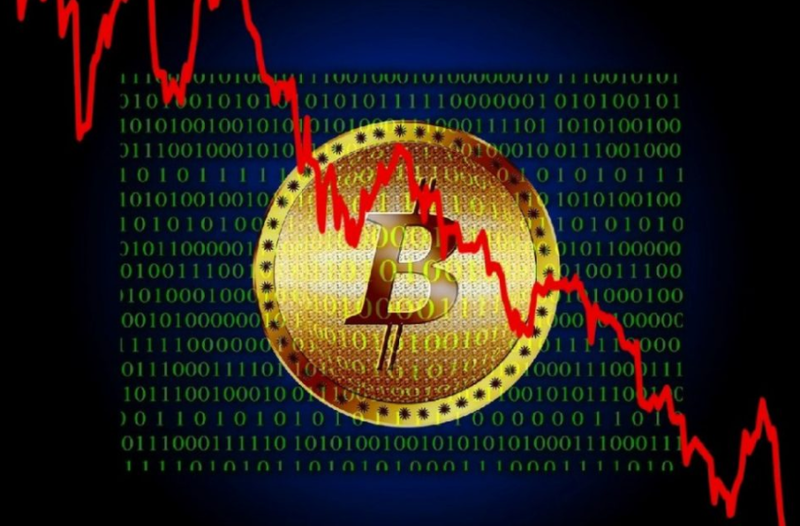 Many early supporters of Bitcoin have already begun to state concerns they are having with the Cryptocurrency and have begun to sell positions, fortunately for many of these early movers, they sold before the recent correction and truly made staggering profits, profits that have made them fabulously wealthy, likely setting them up for the entirety of their lives. Jeff Berwick, a familiar name to anyone in the precious metals space was one of the most prominent and vocal supporters of Bitcoin and other Cryptocurrencies. He still is, without a doubt a believer in the space as a whole, as am I, however, he too recognized the fact that the market was simply getting overheated and overpriced. Due to this fact, he has reiterated the fact more than once that he is diverting funds back into precious metals, as he believes they are severely under-priced and due for a massive move higher in the coming years. Things are beginning to take shape and the "smart money" are acting now, moving out of the Cryptocurrency markets and back into precious metals, sensing that the time is ripe and the end of this long bear market is soon to come to an end. Golden rays lay on the horizon and the protection of precious metals is going to be needed more than ever, as we continue to move forward into this increased time of geopolitical turmoil and uncertainty. Opportunity awaits you, but time is running short. Jeff discusses how well the Anarchapulco conference performed this year as they had a record number of attendees and speakers. He thinks this was due in part to the cryptocurrency performance over the last year. An entire day of the conference is dedicated to cryptocurrencies. Anarchapulco is all about freedom, liberty, and volunteerism. He talks about why voting for a new government never really changes anything. For 2019 there are some big speakers which he will be announcing soon. The cryptocurrency ecosystem has had a lot of innovation and late last year the dumb money began investing. The January pullback was expected and needed. Many are glad there was a pullback as things were growing too fast. The potential of cryptocurrencies has not changed, there is still massive amounts of development. There is a lot of buzz in the cryptocurrencies, and it’s not going away. Late last year more money entered into Initial Coin Offerings than into the IPO’s on Wall Street which is pretty impressive for something that didn’t exist two years ago. Prices could go lower, but overall he is happy with how it has played out. He can’t believe how the precious metals have been left out of the bull market. They have done very little, and it’s an opportune time to take some profits and put them into the precious metals. He feels we are still on track for a dollar collapse around 2020. Gold and silver are a very safe investment, but you should also have some cryptocurrency exposure. During this interview, Jason asks Nomi about how often do central bankers coordinate / collude and go into different markets to manage/manipulate/rig them? Nomi thinks that it's most likely on a daily basis now based on the fear factor central bankers have at the time in order to delay the next global financial crisis. Peter Schiff: Does America or China Have the Most to Lose in a Trade War? Peter Schiff explores the recent escalation in the global currency wars, which have now turned red hot. Who has the most to lose? China, or the United States? Regardless of who wins, or who loses, there will be casualties. It is happening and it cannot be stopped. The Currency Wars that have been discussed at length by many precious metals experts for years are here and there is now no turning back. As I have previously discussed, these wars have been ongoing for much of the last decade, if not longer, however, it has remained largely a "gentleman's" war and highly civilized, with neither side wishing to expose their hand too much. Now, with the increased rhetoric coming from the Trump administration, things have turned red hot and shots are being fired back and forth, on an almost daily basis. President Trump has imposed numerous tariffs on Chinese goods entering the United States. The first of which was $50 billion worth of tariffs, in which China swiftly responded in kind, imposing $50 billion worth of their own tariffs on American imports, imports such as soybeans and small aircraft's. As expected, President Trump would not let this settle and is now discussing imposing an additional $100 billion worth of tariffs on Chinese goods. Of course, this will be answered with a likewise response from China, if these tariffs are indeed pushed through. As we can already see, the ramifications of these actions are going to have a rippling effect through not only the Chinese and US economies, but the entirety of the West, as these countries are two of the largest importers / exporters in the world. These increased hostilities show no sign of abating and are likely to increase from this point out. Neither side is willing to back down and show weakness and as a result stock markets have corrected sharply, proving that they too prescribe to my assumption. President Trump, has vowed to "Make America Great Again", a term that means many things, one of which involves returning jobs that America exported to China, back to American shores. I believe that this is exactly what Trump is attempting to do. He is attempting to force businesses into a position which makes it unprofitable for them to operate overseas, in certain locations such as China and other low wage countries that benefit from massive trade surpluses, at the expense of the American government and the blue collar American working class as a whole. This however does not come with downsides, as this will lead to much higher prices in the cost of goods, as higher wages and working standards will force companies to raise their prices. The hope, is that these price increases are offset by higher wages and reduced unemployment. A gamble, but one that President Trump appears to be more than willing to take. China on the other hand is not stupid and they have vowed to fight American tariffs and actions to the very end, no matter what the cost is. This is incredibly scary, especially since they possess the ability to "nuke" the US dollar, via the massive currency reserves that they possess, essentially destabilizing the dollar overnight if they so wish. I personally believe that China is taking such a hard line response to these actions, simply because they know that their survival depends on it. The American economic engine keeps their economy running at highly inflated levels and if the trade was cut off, the ramifications would destabilize their economy and result in a possible toppling of their communist government. A scenario, they cannot afford to see unfold. Regardless of whether or not cooler heads will avail in the short term, I believe that the genie has been let out of the bottle, never to return as long as President Trump is in power. 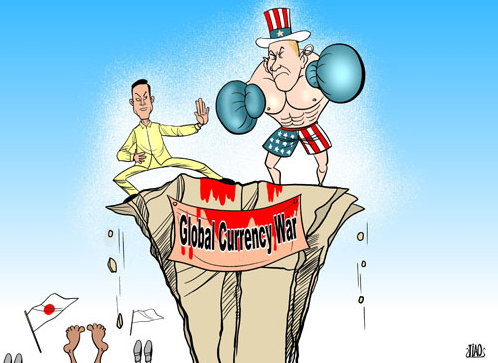 The Currency Wars are here. Get used to it and take the appropriate action to protect yourselves. Increased volatility is here to stay. 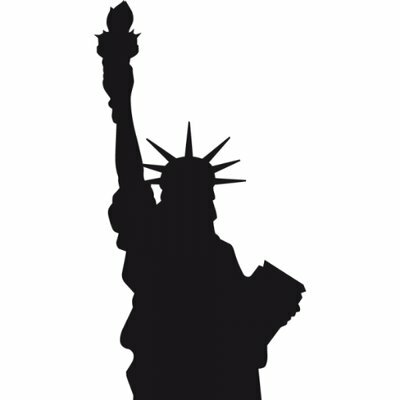 Will the dying warfare-welfare state be replaced by liberty... or tyranny? Ron Paul discusses the current economic situation the global economy and the United States finds itself currently in. This week we discuss the real fear in the equities markets as the tech stocks tumble. Facebook, Tesla, Amazon all losing ground along with other indexes from the tech sector. Gold saw a move up to the $1350s this week and then back into the $1320s. We'll cover the gold silver ratio as well as the price movements of platinum & palladium. The US Dollar fails to retrace back up to its previous trend line as it continues to show weakness across the board. Tariff talk continues alongside a surprise visit to China for Kim Jong Un. 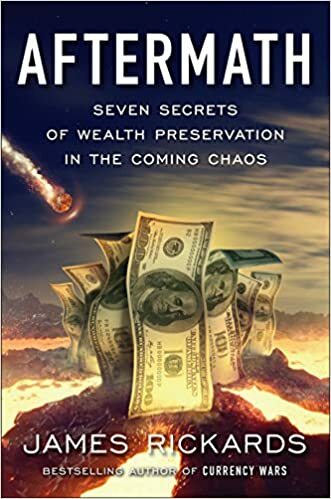 Forensic macroeconomic analyst Rob Kirby says “All the money needed for hyperinflation has already been printed.” Kirby contends, “It’s kind of like having a nuclear war, and people say where are the bombs going to come from? The bombs are going to come out of their silos. What people can’t believe or can’t wrap their head around is the notion and the fact that there’s $21 trillion or more that’s been ‘siloed.’ The money has been created and siloed. We know it’s been created because we know it flew through the books of the Department of Defense (DOD) and the Department of Housing and Urban Development (HUD). That’s just two government agencies. We’re talking about tens of trillions of dollars. We don’t know exactly where they are or who controls them. This week we speak with Becker Polverini of PKC Security. We learn that Facebook isn’t the only one who knows more about you, than you do. Don’t let yourself be ignorant: You are the product on the internet. How much is private data about you worth? Everything! Thanks for listening to this week's McAlvany Weekly Commentary. There is a liquidity crisis looming in Europe and not there is one that has appeared in the mortgage arena. It looks like it is subprime armageddon all over again. China makes its next move will start to use the yuan to pay for all oil purchases, other countries will begin to ramp up on yuan and drop the dollar. Lance Roberts talks with Danielle DiMartino Booth of Money Strong and author of "Fed Up: An Insider's Take on Why The Federal Reserve Is Bad For America." They talk about Jerome Powell's first appearance at the chair of the Federal Reserve and discuss if rate hikes are helping or hurting the economy.